And I am here today with another review. 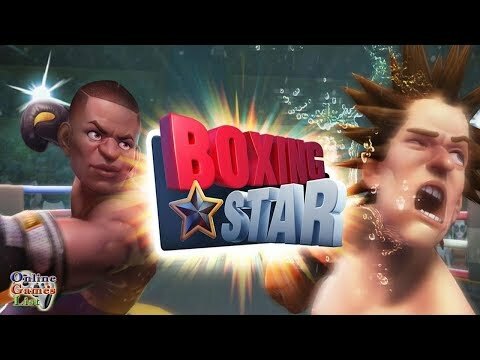 The game this time is called Boxing Star published by FourThirtyThree Inc. And I want to tell you that this game is a good one. But let me start the review and you will see why. At the beginning of the game, we’ll be invited to follow a tutorial that is packaged in a heavyweight boxing match between Joe the King against The Grave. In this tutorial we are taught how to Jab, Hook, Uppercut, hold on, Dodge and other control in boxing that is described in detail in easy to understand in my opinion. To do a jab we just need to do a tab on the target which we are headed. For a hook, we just need to do a swap to the left or to the right, and for that, we need only to do uppercut swept upwards or downwards. There is much more control we can do on this game according to me at present very well, then the number of variations of movement that can be done to make us as the player can perform much creativity in attack. And now let`s get through the gameplay and see what we have here. The Star Boxing is Sports Simulation genre games, here we will act as a new amateur dabbling in the world of sports boxing. With the help of manager Emma who was always grumpy we kan began his career as a boxer professional. After performing the tutorial we will are invited to create a character, the kind of character that we can choose where there is only 3 Body type. For this review, I chose the most body type to end with characters that most young hehe. After you create the character Emma would take us in an interface that is on the show with simple. In this interface will look in the left corner there is a Quest List with a small circle with the face of Emma, just next door, there is a big screen showing the Rank our character and there are 4 slots league reward we can get when we win the match in the fashion League, then there is a story mode in the lower left corner and upper right corner there is a button option. I love to box and when I see a game for that it is hard for me to be amazed. Overall this is a fun game!